Now that Dallas is not a winter wasteland, you're able to go out and go see some rad movies! Or maybe go out for a walk or drink at a patio. I'd recommend some movies myself, but that's just me! Check out some special screenings after the break. Alamo Drafthouse: Tonight starts off with a special screening of the anime feature length of TOKIO RAVENS presented by Funimation at 7:30 pm. Then as part of the Spring Break week, there's a special 9:10 pm screening of NIGHTMARE BEACH which is one of the better horror movies filled with electrocution-based kills. I'll admit that this is a bit of a biased recommendation, but our editor Pete Freedman, over at Central Track is introducing KARATE KID at 7:00 pm. Alamo Drafthouse: At 9:05 pm, this month's Video Vortex will screen MAYHEM. Alamo Drafthouse: Arguably one of the best body horror movies out there, THE FLY will screen at 9:00 pm. And then the movie that's associated with the whole "girl takes off her glasses and she's beautiful" cliche, SHE'S ALL THAT begins at 7:00 pm. Sundown at Granada: The Whiskey Wednesday free movie this week is coincidentally, is KARATE KID. Show starts at 8:30 pm. Alamo Drafthouse: There's a Quote Along screening of ROMY AND MICHELLE'S HIGH SCHOOL REUNION starts at 8:00 pm. this is followed by a special screening of the weird deconstruction of slasher movies, CABIN IN THE WOODS. Granada Theater: Another double screening tonight. This time with a music theme, starting at 6:30 pm, there's PINK FLOYD: THE WALL followed by THE DOORS, about the band with the douchiest frontman poser of all time, at 9:00 pm. Texas Theatre: You know we were going to have to recommend a 35mm print screening of director Paul Thomas Anderson's THERE WILL BE BLOOD. There will be adult milkshakes and the treat of seeing one of the best movies of the last 50 years on the big screen. It all goes down at 8:00 pm. Alamo Drafthouse: After you go and get a Friday the 13th tattoo down in Deep Ellum, come up and watch FRIDAY THE 13TH: A NEW BEGINNING in 35mm at 10:45 pm. Texas Theatre: PICK OF THE WEEK! 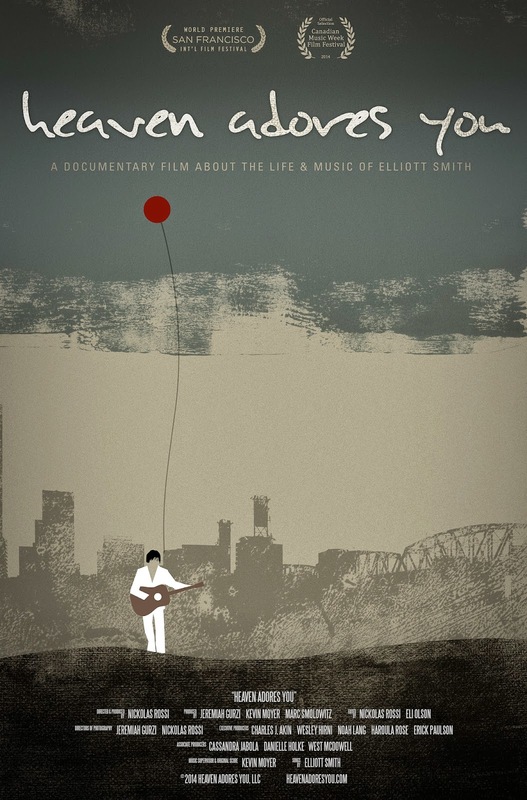 As a sensitive dude that loves music, Elliott Smith's discography means a lot to me on so many levels. His tragic death only adds to the mythos of his career, but to me, that was only one small part of it. XOXO and Figure 8 are still albums I listen to nowadays when life is getting rough. J. Charles, Sean Foster, and Garrett Owen immediately after the movie. Earlier that evening, the inaugural screening of the western, THE SALVATION starring Hannibal Lecter himself, Mads Mikkelsen starts at 6:00 pm. Alamo Drafthouse: In celebration of the best religious holiday ever, Pi Day, there's a special screening of Darren Aronofsky's PI at 3:14 pm. You can bet there will be a special menu and drinks. Then later, you can watch THE BLUES BROTHERS at 8:35 pm. Alamo Drafthouse: We're reaching the low point of the MCU here as Avenging the Alamo reaches IRON MAN 2. You can watch it at 3:45 pm. If you want to put your time for better use, go check our the Lon Chaney Jr. starring THE WOLF MAN at 1:20 pm. It's beautifully shot and tragic as hell.